Our business customers from all over the world as well as our private customers from Leipzig and the surrounding area appreciate our professional airport transfer or airport shuttle. No matter whether you are on a business trip or want to take off on your vacation, we will take you to your scheduled or chartered flight safely, punctually and comfortably, as well as pick you up from the airport. We are specialised in airport transfers to and from Halle/Leipzig (LEJ), Dresden (DRS), Erfurt (ERF), Altenburg (AOC) and Berlin/Schönefeld (SXF) or Berlin/Tegel (TXL). We will be happy to advise you about our whole range of services relating to airport transfers and airport shuttle services for larger and smaller groups. For airline crews - from international airlines to operators of private jets - we offer professional airport transfers and airport shuttle services especially for the airports Halle/Leipzig (LEJ), Dresden (DRS), Erfurt (ERF), Altenburg (AOC) and Berlin/Schönefeld (SXF) or Berlin/Tegel (TXL). We’ll pick up your crew from the requested airport and take them to their hotel for a layover. On the day of departure, we will bring your staff to the departure of the aircraft on time. Do you need hotel or trade fair transfers in Leipzig, Berlin, Dresden and surroundings? For your business (congresses, conferences etc.) or for your private (e.g. weddings, anniversaries) events we offer a professional shuttle service for small and large groups. Our mini coaches and midi coaches offer space for 6 to 36 passengers. 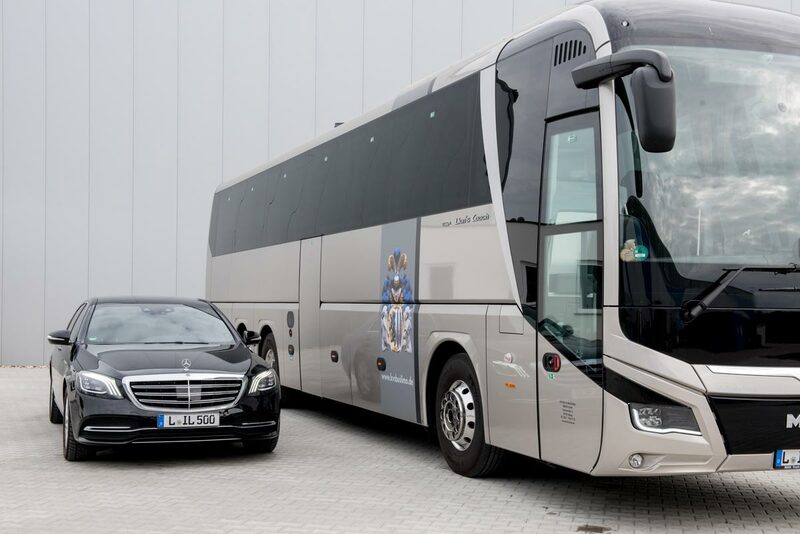 With our large coaches we can transport 36 to 55 people. Of course you can also book direct city connections from Leipzig to Dresden, Berlin, Hamburg, Frankfurt or to another city of your choice with door-to-door service. We will be happy to advise you about our whole range of services relating to airport transfers and shuttle services.